Does the problem this mother describes sound familiar to any other mamas out there? 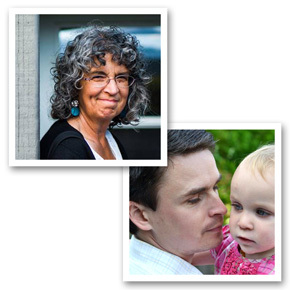 “My first concern is about leading children to repentance over a specific sin. How do you find the time? With a large family, I barely start with one child before another child sins and a line begins to form. More like a crowd of crying, fussing, accusing children. At that point, I feel overwhelmed and usually fall back on fleshly thinking. It becomes more about bringing an end to the chaos than bringing the child to repentance. It certainly can feel like a revolving door sometimes, can’t it? We discipline and instruct one child, he goes out the door, the next one comes in, and then the next, and by the time we’re done, the first one is in need of discipline again. It’s easy to feel like our efforts aren’t making a bit of difference. If we’re taking the time to talk to our children and instruct them from God’s Word as we correct them, and if we pray with them before and/or after we discipline them, it’s going to take time. How can we faithfully do this with a house full of children? Isn’t this all we’ll ever get done in a day? Here are some things to consider if you’re convinced you need to reach your children’s hearts, but can’t quite figure our how to actually make the time to do that. When you end up with a lineup of children all in need of discipline, all of them crying and fighting and finger-pointing, stop and pray together. “If any of you lacks wisdom, let him ask God, who gives generously to all without reproach, and it will be given him” (James 1:5. ESV). Openly acknowledge that you all need God’s help. Let your children see you calling for God’s wisdom and help. Thank Him for sending His Son to save us and give us the strength and ability to obey Him. Ask Him to calm your hearts and give you wisdom and love for each other, and ask Him to give you patience and the ability to speak with kindness. If necessary, declare a quiet time, send people to their beds or assign them to different rooms, and then work your way through their issues one at a time. Our goal is to reach hearts, not just amend behavior. Our children are going to sin; they inherited that nature from us. If we view misbehaving children as a teaching opportunity rather than an annoyance, it will change the way we view our role and responsibility, even in the middle of a household meltdown. It will help us remember that the time we invest in instructing and disciplining our children is fulfilling the high calling that God has given us as parents. Take a proactive approach to sin problems in the family. 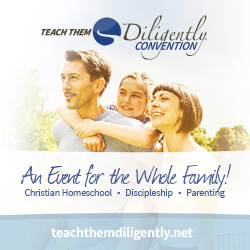 “You shall teach them diligently to your children, and shall talk of them when you sit in your house, and when you walk by the way, and when you lie down, and when you rise” (Deuteronomy 6:7, ESV). Rather than waiting until you’re in the midst of a conflict or until the whole tribe is out of control and you’re on the brink of a breakdown, take advantage of calm points in the day to instruct your children. When no one is bickering, spend some time reading and discussing James 4:1-3. During family worship or at a meal time, when no one is fighting over a toy or telling you “no,” read and discuss verses about selfishness or anger or obedience. Use Nave’s Topical Bible to help you find verses about a particular area of temptation, and then read and study them together, or work your way through the verses related to different sins that are listed in For Instruction in Righteousness. Discuss what God says about these sins. What does He say the common consequences are for sinning in these ways? What are the blessings that come with conquering these sins? Help your children memorize verses related to common areas of sin. “I have stored up your word in my heart, that I might not sin against you” (Psalm 119:11, ESV). These verses will build a foundation of truth in your children’s hearts. When you confront a child about his sin, you will be able to ask him pointed questions that lead him to examine his own heart. The Holy Spirit will use those verses to convict and change him from the inside out. “Whoever spares the rod hates his son, but he who loves him is diligent to discipline him”. (Proverbs 13:24, ESV). Prompt, consistent discipline will help our children know where the boundaries are. They won’t have to keep testing to see if we really mean what we say, so we won’t need to keep “kind-of-disciplining” for the same issues over and over. The more consistent we are in disciplining, the less we should need to discipline over time. Discuss and decide with your spouse how you plan to respond to various sin issues. This will help you be more consistent. 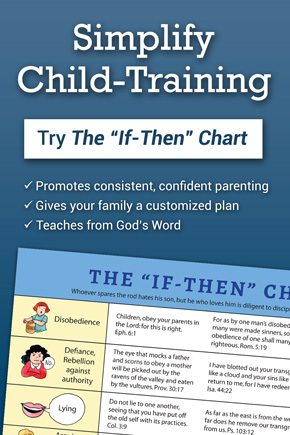 Doorposts’ If Then Chart can help you do this, and will also arm you with verses related to common childhood sin problems. In addition, it will help you point your children to Jesus and the gospel every time you discipline. There will be days when you may feel like a full-time referee, or like your efforts are bearing little or no fruit in your children’s lives. But with some prayer, some planning, and some proactive teaching, we can make time to instruct and pray and address our children’s hearts. Thanks for this article! It serves as a course correction for me. I have been so overwhelmed with life that I have veered off course in this aspect. God used this as a timely rebuke to get back to the heart issues of our family. Thank you! Thank you for this reminder. My children and 10 & 12, and I forget a lot that they are still learning. I often ask them why they are doing x, y, or z, and expect that all my prior training should have been enough. I need to be consistent at reaching their hearts *still*. My work isn’t for two years, five years, or ten years, it’s for a lifetime. My role changes as the years increase, but I’m here for them always…I need to remember that. Thank you! Thank you for sharing this helpful perspective. I recently posted some complimentary thoughts at http://bit.ly/2dcKXCC. A child can walk with God, and as parents, we need to do what we can to nurture that. Yes, a child can have a personal walk with God. Perhaps we discourage this by not teaching them how. Or perhaps we discourage this because we as adults to not have a close personal walk with God. Whatever the case, may we take steps towards encouraging our children to love and obey God in a daily, personal way.